The livestock trade saw wide swings early Wednesday. Renewed buyer support moved into the cattle trade, while market uncertainty continued to pressure hog trade. Triple-digit gains in feeder cattle futures were offset by similar losses in nearby lean hog futures. 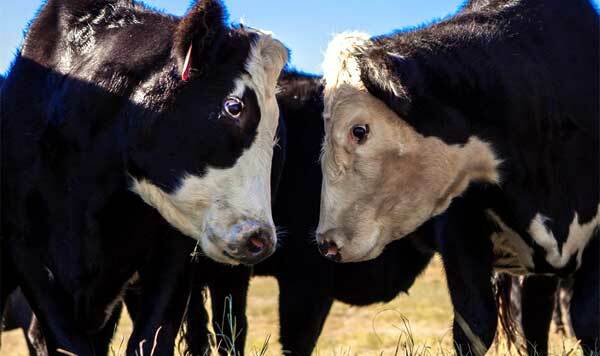 Cash cattle activity remains sluggish with just a few starter bids developing Wednesday at $122 per cwt in Kansas on a live basis, while limited dressed bids of $196 are seen in Nebraska. Asking prices are becoming more available at $126 and higher live and $200 dressed. Active trade is expected to be seen later in the week, potentially as late as Friday afternoon. According to the closing report, the national hog base is $0.40 higher ($48-$53.50, weighted average $52.49). Corn futures are mixed in light activity. March futures were 1/4 cent lower. Dow Jones Index is 171 points higher with Nasdaq up 5 points.